You may feel that your teeth are strong and invincible, but it’s really the fact that you’re taking care of your teeth that is keeping disease at bay. Keep reading to learn what else brushing and flossing is doing to keep your health in tip-top shape, according to the Mayo Clinic. We bet you didn’t know that your teeth could affect your heart. But, unfortunately, it’s true. Our bodies are made up of interconnected pieces that can influence and affect each other. Case in point, the bacteria that comes from gum inflammation and disease can actually move from your mouth to other parts of your body. Sometimes, this bacteria can be carried through the blood and cause hardening of the arteries in your heart. This can then lead to an increased risk of heart attack or stroke. Did you know that the bacteria that comes as a result of gingivitis can move through nerve channels? The bacteria can reach the brain through nerves or the bloodstream, where it can influence the development of Alzheimer’s disease. Some studies explore the connection between gum disease and lung infections, such as pneumonia. By breathing in the bacteria that is sitting on your teeth, your lungs can be more susceptible to that bacteria. To make matters even worse, inflammation of the gum tissue and periodontal disease can make it harder to control your blood sugar. If you have diabetes, you are statistically more susceptible to periodontal disease. Take care of your teeth and prevent these concerns. Obviously, if you don’t take care of your teeth, there will be repercussions in the health of your mouth and teeth. You can experience increased cavities, gum disease, or even root canals to repair damaged teeth. By not taking care of your teeth, you can be setting yourself up for pain and damage. This can lead to loss of teeth in extreme cases. Take care of your teeth and keep your health intact. If you’re due for a visit and a cleaning, give us a call today at (208) 322-1112 to schedule your appointment. With the holiday season in full swing, we’re running into a lot of old friends and making new ones. And though we love a good party, they are only as good as the people who are there. If you’re trying to make new friends or reconnect with old friends, having the confidence to chat at parties is a must. 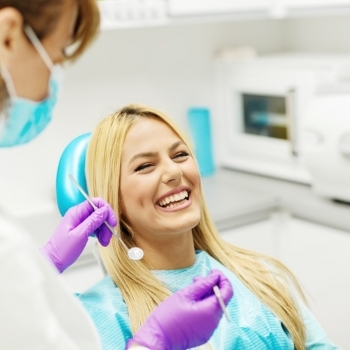 Many people understand that a welcoming smile can help break the ice a little better, which why we’ve rounded up some of the most popular cosmetic dental procedures. These procedures can help give you the smile to boost your confidence and have the best time at holiday parties. Is there anything worse than a dull smile? Whether you’re a coffee drinker, or just enjoy the occasional glass of wine, those drinks could be staining your teeth over time. There are plenty of options to help restore that bright smile, and we offer an at-home teeth whitening system to help you boost your smile in the comfort of your own home. Don’t hide your smile, get it whitened so you feel more confident. Veneers are permanent shells that sit over a problematic tooth. Whether you choose veneers for better whitening purposes, or you have teeth that are small or oddly shaped, veneers can help give you a more aesthetically pleasing smile. These do affect the tooth underneath, so you will want to be sure about veneers before going down that road. Straight teeth that aren’t crowding each other or standing all alone look nice, clean, and welcoming. In the past, you would have to wear silver braces and accept months of looking a little silly. Now, there are clear versions that fit over your teeth and are often unnoticeable. These clear braces can help improve the health of your mouth and keep your teeth in better position. Plus, they also make your smile more welcoming! If you’re interested in improving your smile before your next big party, give us a call at (208) 322-1112 to schedule a consultation today. Dr. Wright is here to help you feel more confident when you smile everyday. When you go to school to learn about teeth, you learn a lot more than you can convey in short appointments with your patients. That’s why asking questions is important to understanding how you can take control of your dental health. Keep reading for some commonly misunderstood ideas about teeth. Sugar isn’t good for your teeth, but did you know that there’s more to it than that? It’s not as simple as you may think. Did you know that it’s not the amount of sugar you eat, but how often you eat it that determines your risk of developing cavities? Yes, how often your teeth are exposed to sugar is more important than how much you eat it. So when you go to eat leftover Halloween snacks or dip into the candy bowl, take a minute to think about what you’re doing. When you eat sugar, it takes the bacteria in your mouth about 20 seconds to convert that sugar to acid, which then lasts for about 30 minutes on your teeth. That’s a lot of potential for damage! Instead of grabbing one piece of candy every thirty minutes, or stretching out that candy corn ball, eating it all at once is actually better for your teeth in the long run. Think about that when you sip on sugary drinks, too! Actually, baby teeth are very important to brush and take care of, even though your child will lose them eventually. Your child’s dental hygiene habits before they get their adult teeth is key to helping them understand how to keep their adult teeth healthy. It will likely be harder to teach your child to brush their teeth every day when they have their adult teeth, and they may have issues that carry over from damaged baby teeth. Interested in learning more about teeth, or looking to schedule a visit? Understanding more about your teeth can help you prevent cavities and other dental issues. Call us today at (208) 322-1112 to schedule a consultation. Our mouths are constantly working. They’re digesting food and fighting off the plaque and bacteria that lead to cavities and Periodontitis (gum disease). If you’re concerned about gum disease, due to habits you may have, family history, or disease then keep reading to learn what causes it and what you can do to avoid Periodontitis. Plaque is the most common cause of gum disease in many people. Plaque sits on the teeth after you eat food or drink anything other than water. If you aren’t very good at remembering to brush and floss, then it can remain on the teeth for a longer period of time. After a time, the plaque changes and turns into tartar, which is harder and more damaging to the teeth, as it contains bacteria. This tartar encourages gum disease, and inflammation of the gums which is called Gingivitis. Gum disease doesn’t only come from poor brushing habits, though. Some other factors include changes in your hormones. When you go through puberty, pregnancy, menopause, or even menstruation, the gums may be affected, and they may be more susceptible to gingivitis and other disease. Immune system issues and disease may also be linked to a change in your gums that can lead to gum disease. Diabetics have a higher risk of developing infections that include gum disease, so it’s important to understand your risk factors and act accordingly to keep yourself healthy. Brushing your teeth properly is key to preventing Periodontitis. Brush gently every morning and night to remove plaque before it becomes tartar. Brushing too hard can cause problems for your gums, too, so make sure you are gentle. If your toothbrush bristles are bent back, try brushing with your non-dominant hand to lighten up. 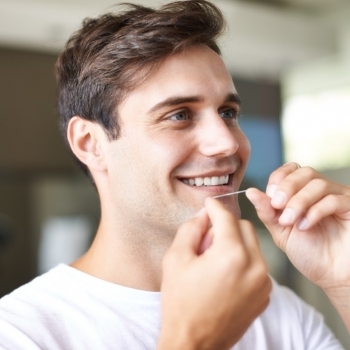 Flossing is also an important part of removing plaque that is hiding between the teeth. Visiting your dentist for regular cleanings will help banish plaque and tartar that you may not have caught by brushing and flossing. Are you interested in learning more, or looking for a consultation? Call us today at (208) 322-1112 to schedule an appointment. Some of us just have a hard time spending on ourselves, and would rather put that money toward the people we love. And while that’s a noble way of doing things, spending a little money on yourself can make you a better person to be around. Think about it. When you take care of yourself, you probably feel happier and more self confident. That’s what we want for you this holiday season. So keep reading to learn about professional teeth whitening for the holidays and how to keep your teeth white all party season long. At Centennial Dental Center, we offer professional at-home teeth whitening, so you can get professional results in the comfort of your own home. Our system can help you remove years of stains from drinking red wine, coffee, or tea, and eating foods that stain our teeth, such as berries. Imagine having a brighter smile this season with just a few easy at-home sessions. Parties, family photos, and other gatherings are more common this time of year, and having whiter teeth may instill more confidence as you spend more time with friends and family. 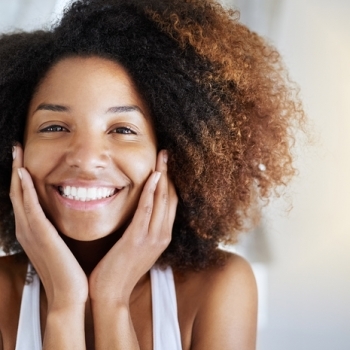 Here are a few tips to help keep those amazing results from your whitening treatments. Because once you’ve put forth the effort, it’s hard to see those pearly whites go dull again! Both red and white wine can damage enamel, so they’re not doing your smile any favors. Red wine especially is going to stain teeth if you drink it often. So, skip the wine altogether and opt for drinks that don’t stain. Vodka especially is better for the teeth, as it doesn’t stain teeth and it even kills odor-causing bacteria in the mouth. A little bit of whitening toothpaste can go a long way. To help prolong the results of your teeth whitening system, invest in a new toothpaste that offers whitening power. 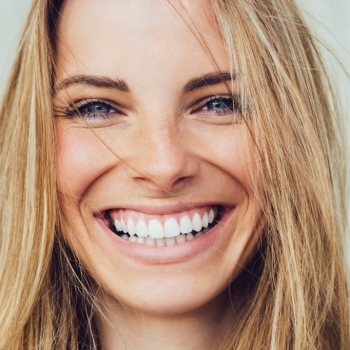 Are you ready for a brighter, whiter smile this season? Call us today at (208) 322-1112 to schedule a consultation. If you’ve recently had an accident and broken a tooth, you are probably looking at all of the options. If your tooth is merely chipped, cosmetic procedures can help it look as good as new. A veneer is a great option for a healthy tooth that is just not cosmetically satisfying. Alternatively, if your tooth is severely damaged due to sports, a car accident, or another accident, you may require tooth extraction. If damage is widespread, pulling the tooth may be the best option for the overall health of your mouth and your other teeth. Keep reading to learn about tooth extraction and implants. If a tooth’s root is damaged, then it will die. That leaves a tooth that darkens over time and is more fragile than a living tooth. These can cause issues, so it’s best to have them removed entirely before they have a chance to break or cause pain. Tooth extraction can be done for health or cosmetic reasons, though we find that most procedures come from necessity. If your mouth is overcrowded, for example, removing a tooth may help your smile look better, but it’s also better for your teeth to have more room so they can stay healthy. After a tooth is removed, you have a few options. Most often, an implant is a great option to replace the missing tooth and fill the gap it leaves behind. It’s important to consider the health of your mouth after you have a tooth removed, since a missing tooth can impact your speech, ability to eat certain foods, or even the health of your jaw bone. Implants can be matched to your teeth, and are often undetectable! Overall, there are many reasons why your dentist may recommend pulling a tooth. Your circumstances and teeth may be different from someone else, who just needed a crown. It’s important to ask questions and make sure that you have all of the important information before you proceed with tooth extraction. If you’re looking at tooth extraction or implants to improve the health of your teeth, call us today at (208) 322-1112 to schedule an appointment at Centennial Dental Center. 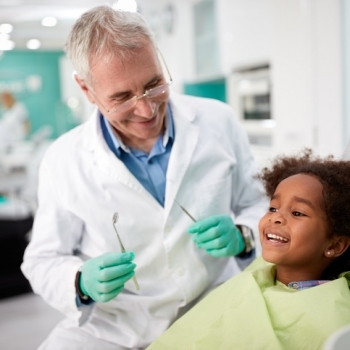 If you’ve moved to a new town and found a new doctor, hairdresser, breakfast place, and a great babysitter, ask yourself, have you seen a dentist lately? Often, people don’t think about getting a new dentist unless something makes them remember: a new cold sensitivity, a loose crown, or extra tartar that makes flossing more difficult. Having regular teeth cleanings can help prevent a myriad of problems, so put it on your calendar and schedule a cleaning todaywith us! Keep reading to learn about dental cleanings, and what to expect if you haven’t been in a little while. Depending on your hygienist’s preference, they may use electric tools or a handheld set of tools to remove tartar from your teeth. Though the noise of the electric tools may feel loud in your head, they are completely safe. If the sound gives you anxiety, just let us know and we can accomodate you. After the tartar and plaque is removed from your teeth, the hygienist will give you a professional teeth floss to remove any stray bits that have been left behind. If you feel anything sharp, let them know and they can go over your teeth one more time to remove any remaining buildup. The cleaning is finished after a quick polish, which is like an extra-scrubby toothbrush. You might be asked if you want fluoride as well, which comes in a liquid or a foamy gel consistency. It will need to sit on your teeth for at least a minute. Your dentist will perform an oral exam, and will let you know if you need to come back for cavity fillings. Alternatively, if you have more serious issues, you may be told you need to come back for a few visits (such as with crowns or bridges). You may find that you notice your mouth a little more, directly after your cleaning. This is completely normal, and may last for a few days if you had a lot of tartar buildup. If you’re ready for a dental cleaning, call us today at (208) 322-1112 to schedule an appointment with Dr. Wright. 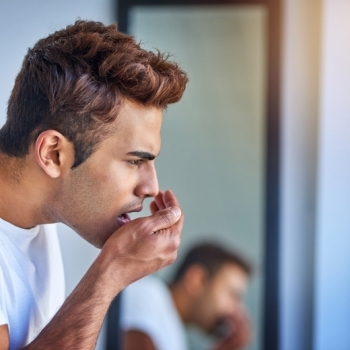 Using chewing tobacco or cigarettes on a regular basis has also been linked to oral cancer, though those the types of cancer are often more focused on the interior of the mouth. If you use tobacco products often, we recommend that you perform an oral cancer check often, even once a month. A thorough examination should be performed by your dentist during every check-up, as well. Keep reading to learn about oral cancer and what to look for when checking for signs of it. Though some people are more at risk to develop oral cancer, anyone can be at risk. It’s important to receive regular cancer screenings regardless of if you regularly use tobacco or not. That being said, if you are male the chances of you getting oral cancer are much higher than if you are female. Also, like other cancers, the chances of getting oral cancer increase as you age. If you are above the age of 55, then you are also at an increased risk of developing oral cancer. 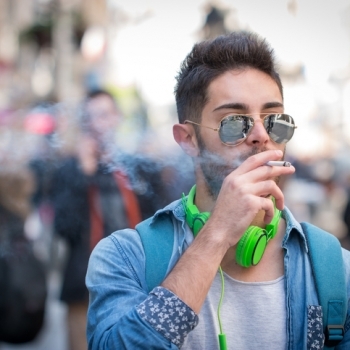 If you smoke cigarettes, use chewing tobacco, or even drink alcoholic beverages excessively, the chances of you getting oral cancer increase dramatically. What happens if my doctor finds oral cancer? Treatment will vary depending on your specific situation and your dentist’s discretion. Medication, radiation, or surgery may be recommended, though your dentist will discuss your particular issue and the options that may work best for you during your consultation. If you are especially at risk for oral cancer, we recommend performing monthly checks to keep track of any changes in your mouth. If you do notice changes, please call us right away at (208) 322-1112 to schedule a consultation. Did you know that there are three types of cavities? Keep reading to learn about the three types of cavities, and how you can avoid them! This cavity is probably one of the easiest to prevent, and maybe even to treat. These occur on the smooth parts of the tooth (hence their name) and come from plaque and bacteria that sits too long on the tooth. You may be able to prevent these by practicing good oral hygiene. Flossing in particular can cut down on the time that plaque sits on the teeth, thus preventing this type of cavity. Keep in mind that if conditions are right, you may be able to treat a cavity of this type with fluoride, so make sure to ask your dentist what’s the best treatment for your cavity. These cavities occur on the chewing surface of your back teeth, where your teeth are a little more flat than sharp. Your molars are not perfectly flat, and these fissures help you break up your food properly as you chew. As a result, these fissures and pits in the teeth can be exposed to plaque and bacteria in food or drinks that sits around longer than it should. These cavities are often preventable, especially if you are good at remembering to brush your teeth twice a day. This kind of cavity occurs at the root of the tooth, where decay can cause some serious damage. These cavities are often seen in older people, especially those who have instances of receding gums. This is because as the gums recede, they expose the root of the tooth that was previously protected. This new exposed part of the tooth is thus in danger of developing new cavities as it is exposed to more food, sugar, and acid that lingers in the mouth after eating. Though the cavity occurs on the root of the tooth, it’s often on the surface of the root (not at the very bottom of the root). Regardless of the type of cavity you have, seeing a dentist early can help you avoid complications. If you feel like you may have a cavity, or are due for your half-yearly cleaning, call us today at (208) 322-1112 to schedule a consultation. Dental issues can sometimes be written off as purely cosmetic, but there’s nothing further from the truth. Did you know that a tooth that has had a root canal or has been damaged in a sports injury can cause more trouble down the road than you bargained for? One of our patients had a root canal as a young adult, and never got around to getting a crown. She figured that her tooth had stood up to regular use for a while, so what was the rush in spending more time and money at the dentist? Then, she was on vacation in Europe when she regretted that decision. While biting down on a tortilla chip, she broke that weakened tooth and had to spend the next week of travel chewing on one side of her mouth. Thankfully, our patient came right to us when she got home and was able to get a crown placed on her broken tooth. She was lucky enough not to experience pain during her trip, but that doesn’t mean we’ll all be that lucky. Our recommendation is to always prepare for the worst. Why take chances on a damaged tooth when you can avoid the hassle that comes from an emergency visit? Keep reading to learn more about two ways we can help prevent future damage to teeth: veneers and crowns. Crowns are used when a tooth has been through a larger trauma, like a root canal or a large break. If a tooth is badly decayed or damaged, chances are that part of the tooth will need to be removed to save the tooth as a whole. Placing a crown can help strengthen the remaining portion of the tooth, preventing damage to the root of the tooth. 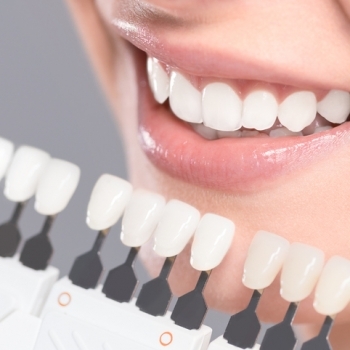 Dental veneers can be thought of as lighter versions of crowns. In general, they operate the same way. Veneers cover teeth, while retaining more of the tooth underneath. They can cover chips, cracks, discolored teeth, and even can be used to fill in gaps between teeth. Veneers can be color-matched to your existing teeth and are often almost impossible to identify as such after they’re placed. Losing or damaging your teeth can be an upsetting experience, so don’t delay if you’re looking for advice about how to fix your smile. Give us a call at (208) 322-1112 to schedule a consultation today. We at Centennial Dental Center had thought we’d heard it all when it came to teeth, but boy were we wrong! Recently, a patient called us to ask some questions, but it wasn’t about a chipped tooth or our TMJ treatment. It was something she’d done herself, something we thought we’d never hear from a patient. But she was obviously uncomfortable, and with reason, when she said she’d left some teeth whitening strips for TWO HOURS! Our poor patient said her teeth were so sensitive she couldn’t eat, and could barely drink water. So, before you make the same mistake, keep reading for some very important safety tips regarding teeth whitening. Come see us first to make sure your teeth are in the best shape for whitening. If you have a cavity, sensitivity, or veneers there might be a complication with teeth whitening. A simple cleaning might help remove some stains before you even start! To make sure your teeth stay healthy and vibrant, give them the best treatment beforehand. Do your research. Each brand uses a different amount of the active teeth whitening ingredients. Depending on if you have whitened your teeth before, you might be able to handle a higher level of active ingredients (either carbamide peroxide or hydrogen peroxide). Not sure which way to go? Call us and we’ll help you make a good decision. Follow the directions on the box. Please read all directions on the box and follow them to a T. Set a timer so you don’t accidentally leave teeth whitening strips on for too long. If you feel like you need more time to get the results you want, try planning out multiple uses (again, according to the directions) or call us for a customized teeth whitening service! We’ve also learned that the teeth-whitening strips you find at the grocery store aren’t the best fit for everyone. They’re just a little too short to reach all the visible teeth when some people smile. Also, we’ve heard that they can sometimes miss the edges of the teeth if they aren’t applied just so. 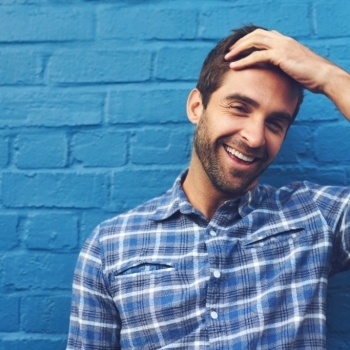 For the best results, we recommend a professional, customized teeth whitening service. Did you know that we can help you brighten your smile from the comfort of your own home? Give us a call at (208) 322-1112 to schedule a consultation about our at-home teeth whitening system today! Eyes are the window to the soul, but did you know that teeth say a lot about you, too? By now, we’ve all heard that our dental beautyaffects how people view us and grants us either a favorable or unfavorable first impression. To be honest, physical beauty shouldn’t grant some of us better chances at a job, or more options when it comes to love. When it comes down to it, teeth are a part of you, and you’re the one that matters when it comes to happiness with your smile. Keep reading to learn how eating for your teeth can be an easy way to improve your overall health. None of us is perfect, but improving dental care is one of those goals we will always support. Why? Because taking care of your teeth causes a ripple effect on the rest of your health. Consider this: if you eat to take better care of your teeth, what happens? If you’re eating more leafy greens to get more calcium (to build enamel in strong teeth), you’re also benefiting from more folic acid in your diet. Calcium is also a well-known bone-builder, so eating more dark, leafy greens can cause a healthy change of tides throughout your whole body. Why stop at food? The things we drink affect our teeth and overall health just as much as the things we chew. Wine can stain our teeth, soda can leave sugary deposits behind that can turn into cavities. If you’re trying to cut down on sugary sweets and drinks to stay cavity-free, then your blood sugar is lowered, your insulin doesn’t spike as much, and you’re not as likely to gain extra weight that comes from those extra calories. We recommend drinking water to help clean away tiny bits of food after eating, rather than soda that can cause more harm than good. If you love soda, don’t despair. Try to cut down your consumption by choosing smaller drink sizes, or simply finishing off a meal with a few sips of the complementary water that often comes with your food at a restaurant. If you’re still working on improving your dental health, we can help. 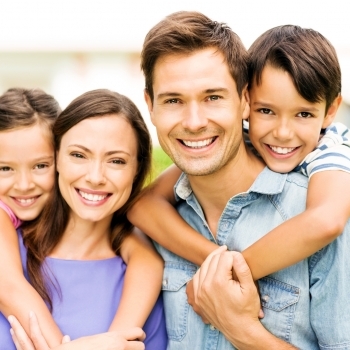 Give us a call today at (208) 322-1112 to schedule a consultation and learn more about dental health. When Do I Bring in My Child For Their First Dental Visit? We hear this all the time from the new parents in our social circles, “She just got her first tooth, so it’ll be awhile before we need to bring her in to see you.” But, did you know that the American Dental Association and the American Academy of Pediatric Dentistry actually recommend that your baby see a pediatric dentist within six months of his or her first tooth coming in? If your little tyke is close to his first birthday, don’t bother waiting the six months and bring him in for a birthday check-up. By having your child’s first visit at the family dentist sooner rather than later, you can help set him up for good dental health. If you have even one tooth, you can get tooth decay. We don’t like to see decay ever, but it’s especially tough on little kids because they’re forming their dental habits. We want to avoid tooth decay in baby teeth (also called primary teeth), because it can sometimes lead to a higher risk of tooth decay in adult teeth. By bringing your baby in early (within six months of his first tooth erupting, but before his first birthday) we can help set up a future with good dental health. For example, we can help you learn how to brush their teeth properly as well as discuss overall best health practices. 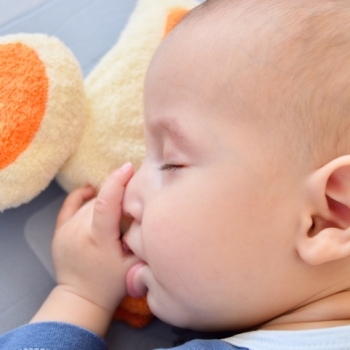 Did you know that you shouldn’t let your baby fall asleep with a bottle in their mouth? The milk can pool around their teeth and start causing problems even at such a young age. 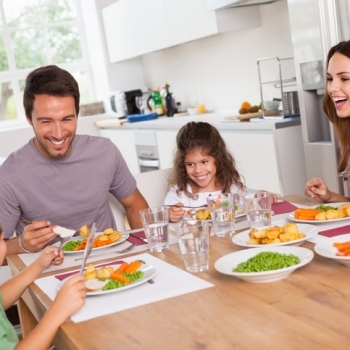 Limiting sugary drinks and snacks can also help set up your baby’s great dental health. Try to schedule a morning appointment, or when you know your child will be well-rested and cooperative. Never use a trip to the dentist as a punishment for behavior. Avoid bribing your child to go to the dentist. Keep your child’s dental health top-notch by encouraging a positive association with the dentist and set them up for a healthy dental future! Haven’t set up your baby’s first dental appointment? Give us a call today at 208-322-1112. If you have kids worrying is one of the daily duties that seem to come with the job of parenting. And if your child isn’t still in the crib, you may be wondering/worrying about thumb sucking. Is he or she sucking their thumb too much? Should they have stopped by now? Are they damaging their teeth? In the Idaho Statesman, “Peanuts” and Linus may have a place, but he’s no role model. Still, you don’t have to worry too much; thumb sucking usually passes before children hit preschool age. Here’s the deal on thumb sucking and its affect on the teeth from Dr. Wright. Thumb sucking is a natural comfort behavior of a child. Sometimes during an ultrasound, you can see a fetus in the womb sucking his or her thumb. Thumb sucking can help a child feel secure and happy, and it can be soothing when there is anxiety such as when the child is separated from his or her parents. Thumb sucking or pacifier use can also help a child fall asleep. Parents wonder about thumb sucking and when it should end. This is no time to be like Linus van Pelt, carrying around a blanket and thumb sucking well into elementary school. The American Dental Association recommends discouraging thumb sucking by the age of four. By this time, prolonged sucking can begin to affect the proper development of your child’s mouth, jaw, and teeth. Continued thumb sucking can cause the permanent teeth to be misaligned, and that only spells the need for orthodontics later on. If it continues into the five or six-year-old age the pressure from sucking will lead to changes in the mouth and teeth. The ADA says that the front teeth may begin to jut forward and the child’s bite will begin to open, meaning the upper and lower teeth won’t be able to touch. As the permanent teeth descend, they will start to become misaligned. OK, so maybe it’s time to help break the habit. There’s no need to put a couple drops of hot sauce on the thumb, as your neighbor may have touted as the perfect thumb-sucking breaker. Usually the best way to get your kid to stop sucking their thumb is to ignore the behavior. In most cases, kids just stop sucking their thumb one day. They usually start to understand that there is a point where sucking their thumb isn’t cool in certain social situations or when they compare to other kids. Still have questions about thumb sucking and your child? Call us at Centennial, (208) 322-1112, and ask away. Do You Have Stinky Breath? We spend a great deal of time interacting with other people. Social situations and business environments put us within other people’s personal spaces, so having bad breath can be uncomfortable for all involved. Understanding what is causing your bad breath helps you find a remedy and know when it is time for a dental exam. Test your saliva by licking your wrist and letting it dry. Use a spoon to collect saliva from your tongue. Pull the spoon gently from back to front and examine what appears on the spoon. If you notice a whitish substance, you may have halitosis. Sterile gauze can be used instead of a spoon. Before you panic about having bad breath, first ask yourself if you have eaten any foods that may cause the offensive odor. You should also consider your oral hygiene habits. Food particles and bacteria in the mouth can cause bad breath. A good brushing and flossing followed by an antiseptic mouth rinse may eliminate the problem. Dehydration may also give you stinky breath, so try increasing your water intake for a few days. If home remedies do not give you fresher breath, you may have a dental condition that requires treatment. Having your teeth and gums evaluated by a dentist is the best way to diagnose conditions that contribute to bad breath. Learn More About Dental Exams and Chronic Bad Breath. Contact Centennial Dental Center. To learn more about treatments for bad breath, dental exams, teeth whitening, dental implants and our other services, contact Centennial Dental Center today to schedule an appointment. Our office is in Boise, and you can contact us directly at (208) 322-1112.